Say you’re a company in the natural gas extraction industry and need on-site medical support, and don’t have a preferred vendor yet. In the past you would go to an industry directory to find a medical service provider. Now you can just do a quick Google search on your smartphone to get the information you need instantly. Inbound marketing makes potential clients’ searches work for you. Inbound marketing works by gaining customers’ interest, makes your business easy to find online, and draws your customers to your website. It does this by using marketing like SEO, social media, and blogs. Your website attracts visitors: A great way to attract visitors to your website is to optimize for search engines. MICA Controls increased their total web traffic by 100% over 4 months after implementing a targeted SEO strategy. Convert website visitors into leads: Integrating an automated lead generation system like ActiveConversion in your website lets you know who your visitors are and what they are interested in. Nurture leads: Make sure you maintain a good relationship with your leads by sending them something of value – case studies, white papers, etc. Converting leads to sales: Once your leads become ‘sales-ready’ and you have a good understanding of what they are looking for, you’re ready to pass the leads on to your sales team. This is where you really see your industrial inbound marketing work wonders for your business and sales goals. Why should energy service providers use inbound marketing? Over 90% of buyers will search for your business. They prefer to learn about your offerings at their own pace by browsing through your website and other online information. Industrial Inbound marketing costs 62% less per lead than traditional outbound marketing leads. The closing rate from industrial inbound marketing leads is 13% higher than outbound marketing leads. Rather than relying only on sporadic referrals, industrial inbound marketing will get you the inbound calls your business needs! Upcoming post: Marketing Automation. Did you know that a sales team can spend up to 70% of their time contacting people who aren’t ready to buy? With an automated lead generation system like ActiveConversion, your sales team will receive a constant stream of qualified leads. 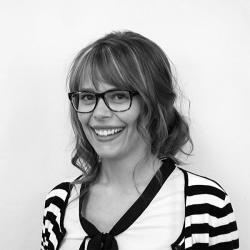 Renee holds a Bachelor of Commerce in marketing, and loves to dig into marketing research to find the ideal ways to optimize or run campaigns. She works to drive awareness, understanding, and adoption of marketing best practices with positioning, messaging, and marketing materials.